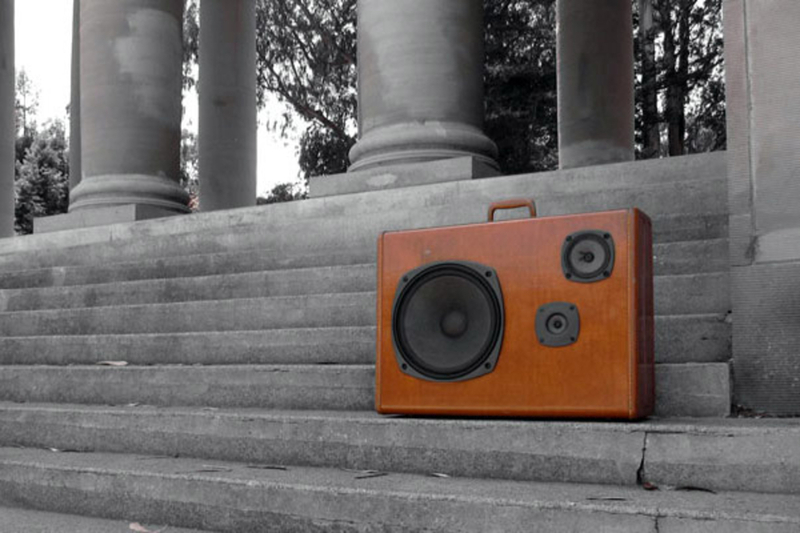 We like vintage luggage as much as the next guy, but with so many lightweight, airline-ready alternatives available, why not find something else to do with it... like turn it into a boombox? That's exactly what the creator of Boom Cases ($250 and up) did. 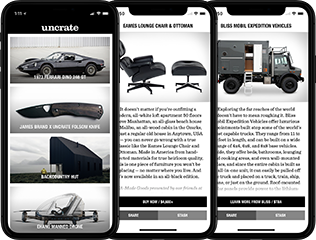 Each case features a 3.5mm input for connecting a variety of audio sources, built-in amplification, a rechargeable battery good for 7+ hours of playback, and a built-in charger that lets you plug the case in when you're staying put for the night. If the design of your kitchen or den radio matters as much to you as the sound, you're no doubt in the target market for the MINI Rocks Sonoro Internet Radio ($600). This diminutive player features built-in Wi-Fi for streaming Internet radio and songs from your computer, as well as a dimmable OLED display, alarm clock functionality, a RF remote, an eDock for charging and playing your iPod, a solid wood casing with a metallic exterior lacquer, a brushed aluminum front control, and a three-inch full range speaker. Whether or not that's worth 6 Benjamins is up to you. Sure, we don't have any idea if or when it will ever go on sale, but we want the Case-Real Elekit Tube Amp ($TBA) all the same. This gorgeous steel and aluminum amplifier features exposed vacuum tubes, two minimalistic control dials, RCA and 3.5mm inputs, an automatic sleep mode, and 10 Watts per channel output. A nice alternative to the traditional exposed wire-and-wood builds of most vacuum amps. In celebration of the company's 100th anniversary, Denon returns to its roots with the Denon 100 Turntable ($2,500). This high-end record player features the company's high-performance direct-drive turntable technology, compatibility with the new DP-A100 cartridge, a five-year warranty, 100th anniversary logo badges, and a signed certificate of authenticity from the chief production engineer who hand crafted the device. For serious audiophiles or rich, vinyl-crazed hipsters only. 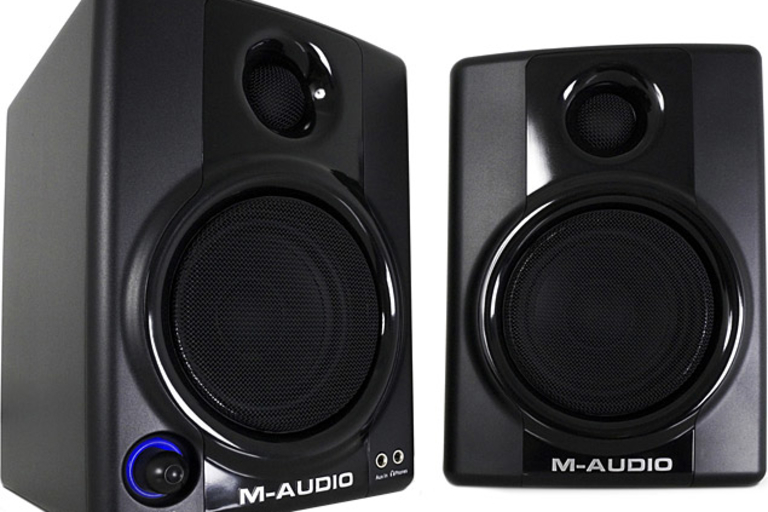 Pump up the volume from your laptop, desktop, or media player with the M-Audio Studiophile AV 40 Speakers ($145). These sturdy, spectacular-sounding speakers feature an integrated 20-watt-per-channel amplifier, 4-inch woofers, .75-inch ferrofluid-cooled silk dome tweeters with OptImage III wave guides for better imaging, magnetic shielding to protect surrounding electronics, and a Discman-style bass boost switch for annoying neighbors. Sure, they won't win any interior design awards, but if you're more concerned with makin' beats than makin' casseroles, you shouldn't mind.